Cholesterol Scams - Natural, alternative, herbal frauds. THE GREATEST ALTERNATIVE CHOLESTEROL MEDICINES SCAM OF THE CENTURY? Scams involving cholesterol medicines are quite heinious. Cholesterol scams put people's lives in danger and may cause people to become paralysed, blind and a whole host of things to go wrong with them. People perpetrating such scams need to be punished with severe sentences, to clearly send the message to the general public that such monstrous acts of greed, and with no regard for other peoples lives and well being, will be punished harshly. People found guilty of such scams, should be held fully accountable, with every instance of the abuse investigated to see if human suffering and or death resulted from the scam, with their sentences adjusted accordingly. In case you don't know, Cholestasys was one of the biggest advertised cholesterol medicines on the market. It has also been found suspect in one of the biggest alleged cholesterol scams in recent history, apparently involved a USA company called Micronutra, amongst several other names the company went under or were associated with: Thao, Lor, Bio Nutrasource, Pham, Tong Vang, Nutrapha Research, Naturocare, Techmedica and Shua Vang. Alternative Living, PetFriendMeds and FaithMeds, and a few other names as well, have also been implicated. The Cholestaysis cholesterol medicine was one of the most widely advertised products as an alternative cholesterol medicine for high cholesterol control. Brick and mortar business with a website set up, telephone ordering. Micronutra advertised heavily through Google, which gave many the impression it must have been a good cholesterol medicine. A multi million dollar business. Very few outsiders were aware it may have been scam, a complete fraud. My eyes were opened wide when I read this forum on alleged Micronutra scams, which also involved their cholesterol medicines. This report from United States Attorney for the Western District of Missouri says pretty much the same thing, they don't use the word scam, but they do use the word fraud, amongst others, as does this web site. The alleged Micronutra scams cullminated in raids by the FDA confiscating all their tablets, cholesterol medicines, everything, their web site shutting down completely (Feb, 2008). So what was the alleged scam? Still don't know what was in their cholesterol medicine tablets, though it may have been sugar, but apparently they were tipping all returned cholesterol medicine tablets into a big barrel and then resold them. YUK. If that wasn't bad enough, they were allegedly tipping all returns into the one barrel, with no regard for what the product was that was being returned. So the cholesterol medicine returns were apparently mixed with non cholesterol medicines. Employees were allegedly told to tell the many customers returning products, to say the refund was on it's way, even though it was never to be sent. Also found out that they appeared to be [pretended] users of Cholestasys in various forums and web sites and posted very positive testimonials about their cholesterol medicine, especially if their was a negative thread about their cholestasys medication or any of their medicines, making it even more difficult for people to find out the truth about their apparently scammy medicines. Also, the doctor and nurse supporting their products on their web sites are alleged to have been fabricated by them - photos were allegedly bought and the identities allegedly created. Another doctor supporting the use of their products is alleged to be unqualified, with non-accredited (bogus) degrees. Hmmmm, I've now found the products, cholestasys ( their cholesterol medicine ) and others are for sale in other countries, including the UK! Hmmm now found that other people associated with it have opened up again, with a range of cholesterol information products. If the charges are substantiated by law, then it means the companies involved with the cholesterol scam got away with it for many years. The fact that the cholestasys is still sold in the UK is very disconcerting. 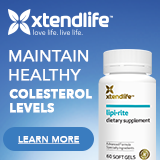 It's quite scary, trying to find out which companies are manufacturing bogus cholesterol supplements is not easy, but I think I have a cholesterol supplement that is genuine, which you might like to read about now.